I’m proud to be among the signatories calling for a new investigation—a real investigation—of the four assassinations that created the America we’re living in today: a rogue state hooked on war, its people either crushed by poverty or struggling to get by, ripped off and poisoned by the same cartels, yet bitterly divided. We’re on the brink today because we’ve all been living this Big Lie for over half a century: that the United States is a democratic republic, where government is chosen by the people in their own best interests, guided by great movements of dissent, and always well-informed by a free press. This lie was traumatically exploded by those four assassinations, which made all too clear that the United States was to be governed not by We the People, through their duly educated votes, but by hidden interests using violence to wipe out any candidate or activist who might dare thwart their plans. Enough is enough. Please join us in demanding that this lethal cover-up now cease—because the truth will set us free, but only if we face it at long last. 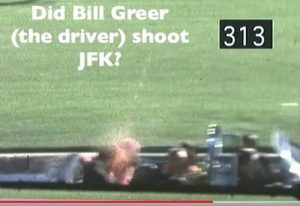 On the occasion of Martin Luther King Jr. Day (ER: January 21), a group of over 60 prominent American citizens is calling upon Congress to reopen the investigations into the assassinations of President John F. Kennedy, Malcolm X, Martin Luther King Jr., and Senator Robert F. Kennedy. Signers of the joint statement include Isaac Newton Farris Jr., nephew of Reverend King and past president of the Southern Christian Leadership Conference; Reverend James M. Lawson Jr., a close collaborator of Reverend King; and Robert F. Kennedy Jr. and Kathleen Kennedy Townsend, children of the late senator. 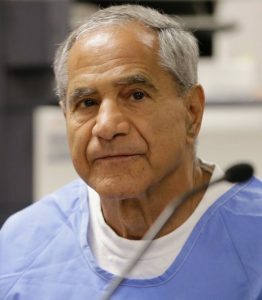 Signers of the joint statement, who call themselves the Truth and Reconciliation Committee, are also seeking to reopen the Robert F. Kennedy assassination case, stating that Sirhan Sirhan’s (pictured today) conviction was based on “a mockery of a trial.” The forensic evidence alone, observes the statement, demonstrates that Sirhan did not fire the fatal shot that killed Senator Kennedy — a conclusion reached by, among others, Dr. Thomas Noguchi, the Los Angeles County Coroner who performed the official autopsy on RFK. 3. On Martin Luther King Jr. Day, we call for a full investigation of Reverend King’s assassination. 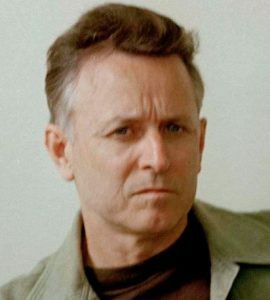 The conviction of James Earl Ray (pictured) for the crime has steadily lost credibility over the years, with a 1999 civil trial brought by Reverend King’s family placing blame on government agencies and organized crime elements. Following the verdict, Coretta Scott King, the slain leader’s widow, stated: “There is abundant evidence of a major, high-level conspiracy in the assassination of my husband.” The jury in the Memphis trial determined that various federal, state and local agencies “were deeply involved in the assassination … Mr. Ray was set up to take the blame.” Reverend King’s assassination was the culmination of years of mounting surveillance and harassment directed at the human rights leader by J. Edgar Hoover’s FBI and other agencies.